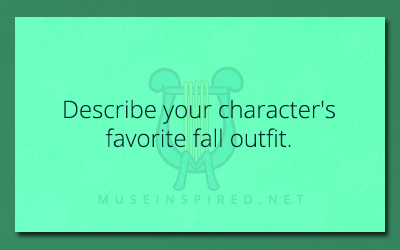 Character Development – Describe your character’s favorite fall outfit. Character Development - What is their favorite color? Character Development - What is their most painful memory? Character Development - Has your character ever gone mountain climbing?